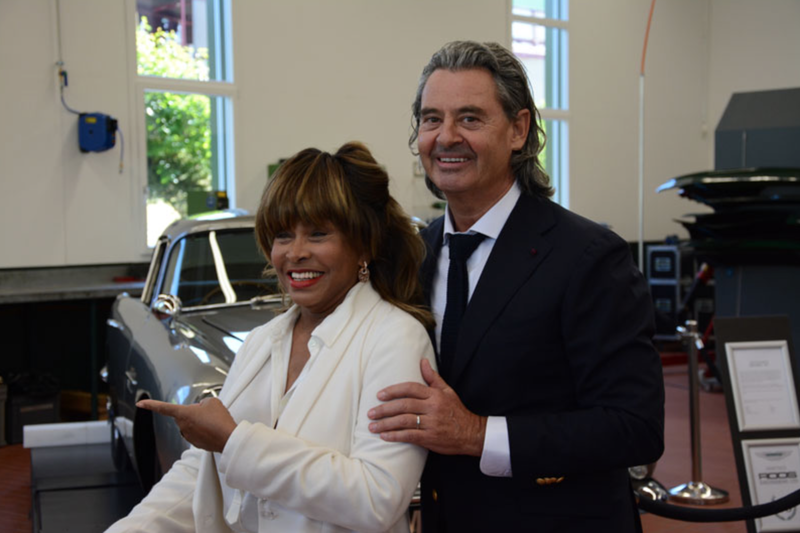 Tina Turner and husband Erwin Bach were spotted this week near Zurich visiting Emil Frey’s ‘Classic Car Center’. And for the occasion we get to see Tina in full white suit which is too rare not too be noticed! She is fabulous as always! Is it me or she is just getting better and better while she’s getting older… No one like her Beyonce & Oprah were right she is THE “QUEEN”!!! Love you Tina you are BEST!!!! Toujours aussi belle Tina Turner la Tigresse! Love Ms. Tina so very much. Lookinh Beautiful Tina. You are the best!